The team from Bellevue, Quantum beat Bizible of Seattle to take the IT Sports League Basketball crown. Both teams came into the tournament with identical records of 4-1. Bizible the #1 seed beat Real Self 67-53 and Quantum beat Avvo 72-50 in the first round of the playoffs. 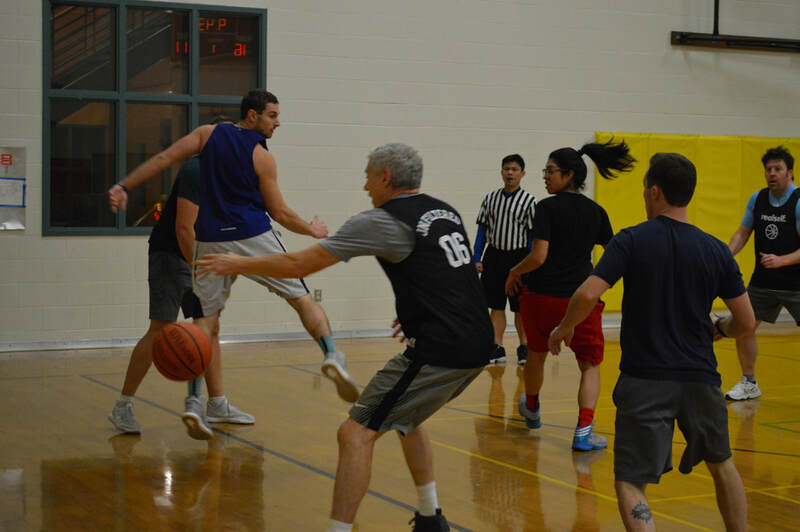 In the final championship game, Quantum out shot Bizible in the second half to sprint to their first IT Sports League title, the final tally was 50-36. ​Avvo beat Real Self in the consolation game 99 to 83. Team trophies and the league party was celebrated at the League's official headquarters, The DeLuxe Bar & Grill on Capitol Hill. Next up for the league is Volleyball probably in the Spring. Stay tuned. If you would like updates, please sign up at our contact page and we will send you league updates.